pudina rice is a fragrant, spicy and tasty dish made with mint leaves and some more spices-herbs. 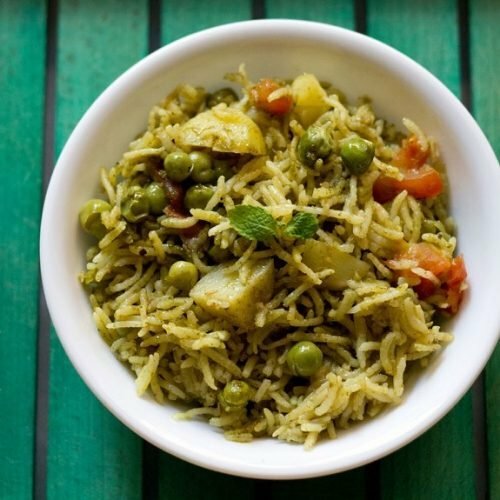 pudina rice recipe with step by step photos – a spicy and tasty one pot fragrant mint rice recipe. mint (pudina in hindi), is a fragrant herb used in indian cuisine in different ways. 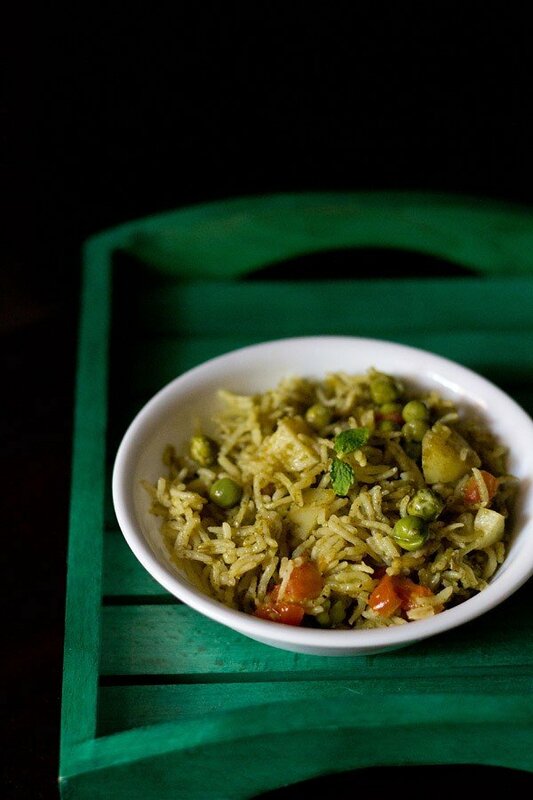 this simple and easy pulao recipe has mint in it. 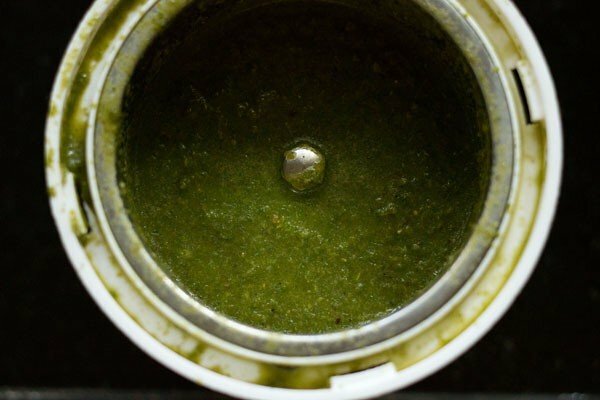 besides mint leaves some coriander leaves, coconut, onion, green chilies and whole spices are also added. 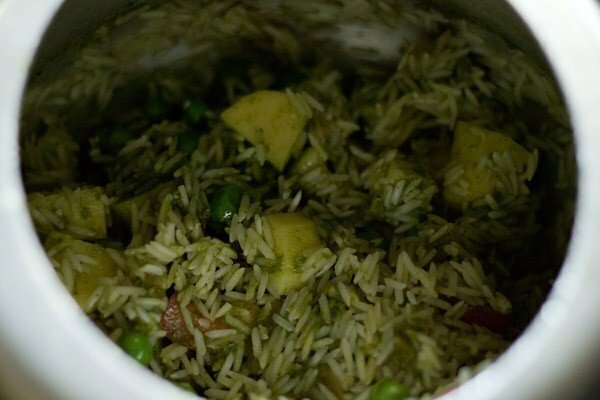 thus the final result is a spicy flavored green colored pudina rice with lovely flavors and tasty very good. its not only tasty but also healthy. in the recipe, you can also add veggies like peas, carrots, beans to make the dish more healthier. usually i add peas or both peas & potatoes. 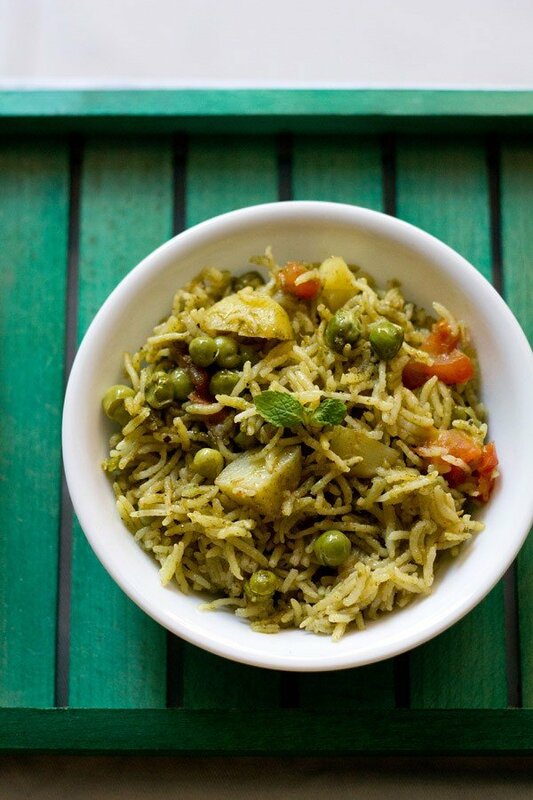 this pudina rice is best served with some plain yogurt or onion-tomato raita or boondi raita. the time for cooking varies the quality of rice and soaking time. just soak the rice for 30 minutes and then drain it. 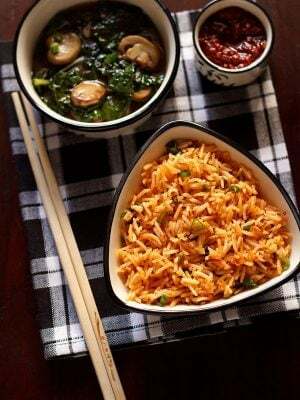 if the rice is soaked for longer period of time, then the become mushy while cooking. 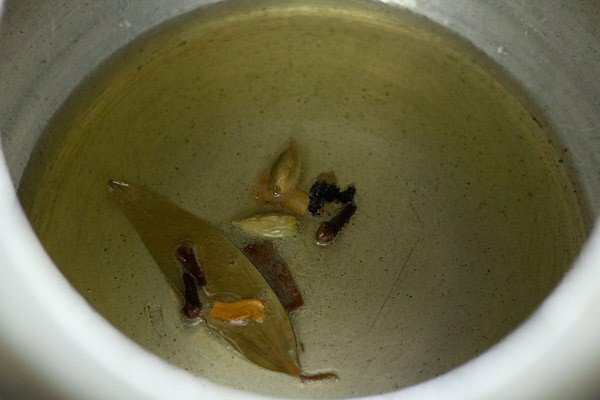 if you do not soak the rice, then you have to increase the amount of water as well as the pressure cooking time. for best results, its better to soak rice for 30 minutes. 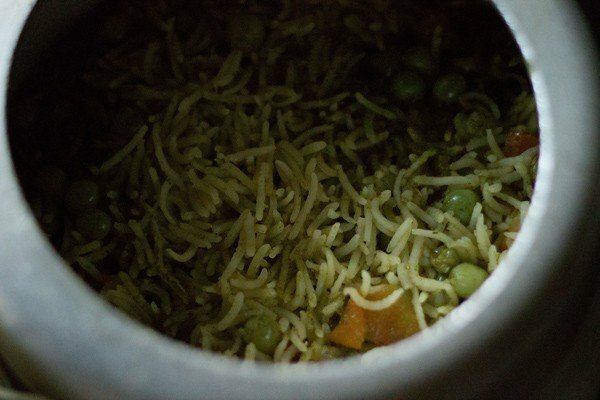 the pudina rice has been made in the pressure cooker, but you can also easily make it in a pot. 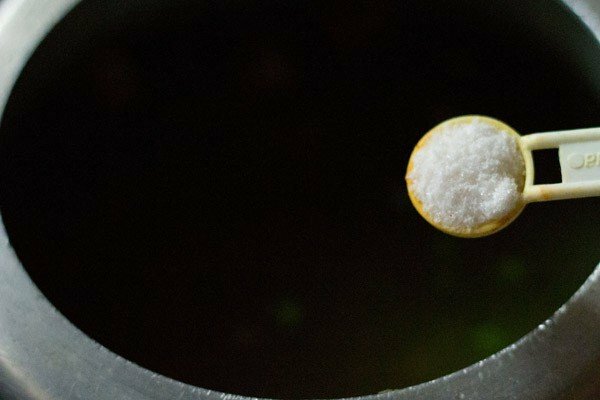 if making in a pan or pot, increase the amount of water to 2.5 cups or more if required. rinse the 1 cup basmati rice (240 grams) till the water runs clear of the starch. soak the rice in water for 30 minutes. meanwhile, when the rice is soaking, prep the other ingredients. 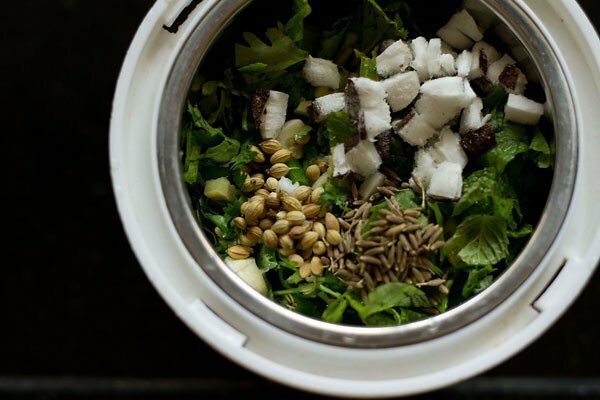 take 1 cup chopped mint leaves, ½ cup chopped coriander leaves, ½ tsp chopped ginger, ½ tsp chopped garlic, 1 or 2 chopped green chilies, 1 tbsp chopped coconut or 2 tbsp coconut milk or grated coconut, 1 tsp coriander seeds, ½ tsp cumin seeds in a chutney grinder or small wet grinder. add 2 to 3 tbsp water and grind to a smooth paste. add more water if required while grinding. heat 2 tbsp oil in the pressure cooker. add the following whole spices - 1 inch cinnamon, 1 tej patta, 2 green cardamoms, 3 cloves, 2 to 3 single strands of mace and a small piece of stone flower (stone flower is optional). fry the spices for some seconds till they become aromatic. then add sliced onions. about 1 medium onion which has been thinly sliced. saute till the onions become golden. then add the ground mint paste. add ¼ tsp turmeric powder and ¼ tsp red chili powder. stir and saute the masala paste for a minute or two. then add chopped potatoes, tomatoes and green peas. about 1 small to medium potato, chopped, 1 small tomato, chopped and ¼ cup fresh or frozen peas. stir. add the drained rice and stir gently. the oil should coat the rice grains well. stir & saute for a minute. add 1.5 to 2 cups of water. stir well. i added 2 cups since i had used organic basmati rice and we prefer the rice grains to be cooked well. 1.5 cups will give an al dente texture and can be added for the regular indian brands of basmati rice. cover the lid tightly and pressure cook mint rice for 2 to 3 whistles till the rice grains are cooked. when the pressure settles down on its own, open the lid and gently fluff the pudina rice. 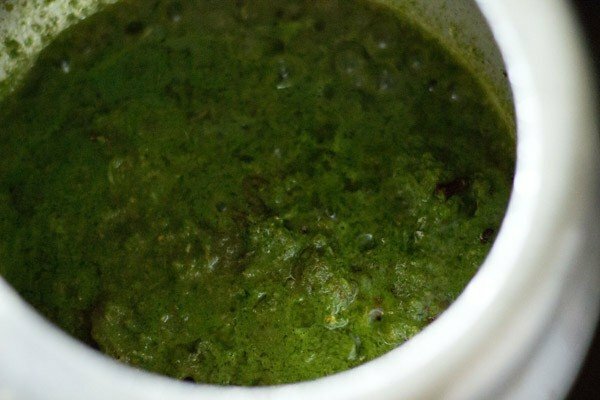 serve pudina rice hot with plain curd or with onion-tomato raita or boondi raita. 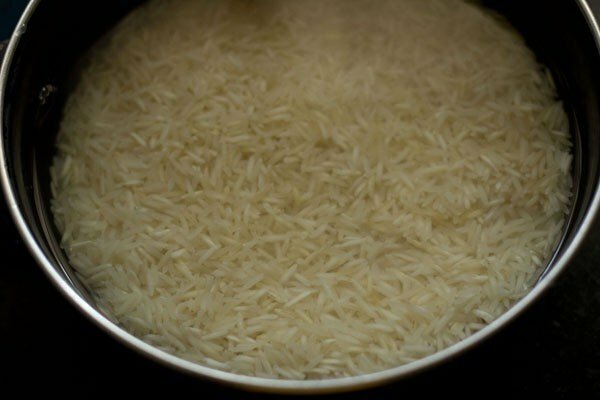 1. rinse the 1 cup basmati rice (200 grams) till the water runs clear of the starch. soak the rice in water for 30 minutes. 3. meanwhile, when the rice is soaking, prep the other ingredients. 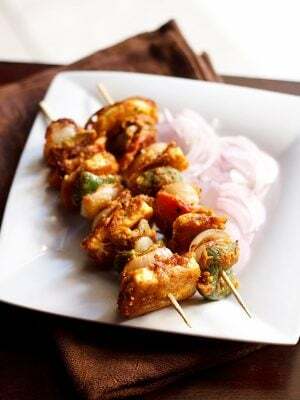 take 1 cup chopped mint leaves, ½ cup chopped coriander leaves, ½ tsp chopped ginger, ½ tsp chopped garlic, 1 or 2 chopped green chilies, 1 tbsp chopped coconut or 2 tbsp coconut milk or grated coconut, 1 tsp coriander seeds, ½ tsp cumin seeds in a chutney grinder or small wet grinder. if you do not have fresh coconut, then you can also add 2 tbsp desiccated coconut instead. 4. add 2 to 3 tbsp water and grind to a smooth paste. add more water if required while grinding. 5. heat 2 tbsp oil in the pressure cooker. add the following whole spices – 1 inch cinnamon, 1 tej patta, 2 green cardamoms, 3 cloves, 2 to 3 single strands of mace and a small piece of stone flower (stone flower is optional). though if you have then do add. 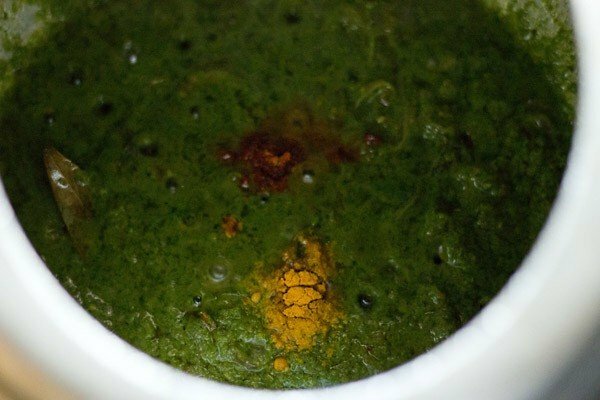 stone flower or kalpasi give a nice earthy flavor to biryanis and pulaos. fry the spices for some seconds till they become aromatic. 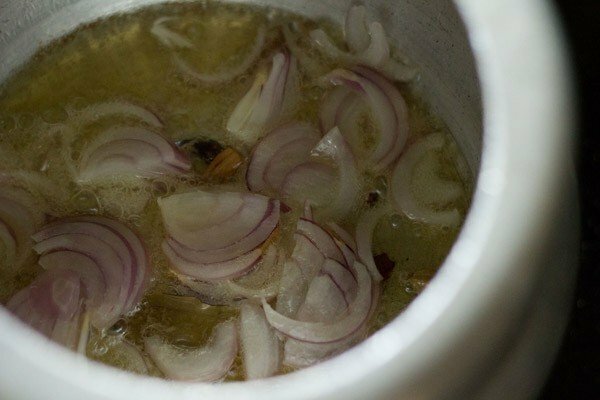 6. add sliced onions. about 1 medium onion which has been thinly sliced. 7. saute till the onions start to turn golden. 8. then add the ground mint paste. 9. add ¼ tsp turmeric powder and ¼ tsp red chili powder. stir and saute the masala paste for a minute or two. 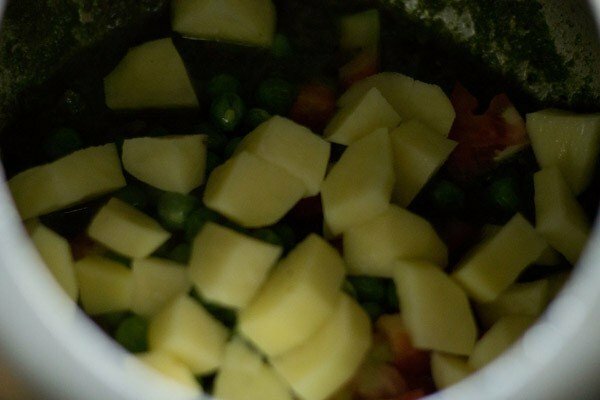 10. then add chopped potatoes and green peas. about 1 small to medium potato, chopped, 1 small tomato, chopped and ¼ heaped cup fresh or frozen peas. stir. 11. add the drained rice and stir gently. the oil should coat the rice grains well. stir & saute for a minute. 12. add 1.5 to 2 cups of water. stir well. i added 2 cups since i had used organic basmati rice and we prefer the rice grains to be cooked well. 1.5 cups will give an al dente texture and can be added for the regular indian brands of basmati rice. 13. add salt. stir again. 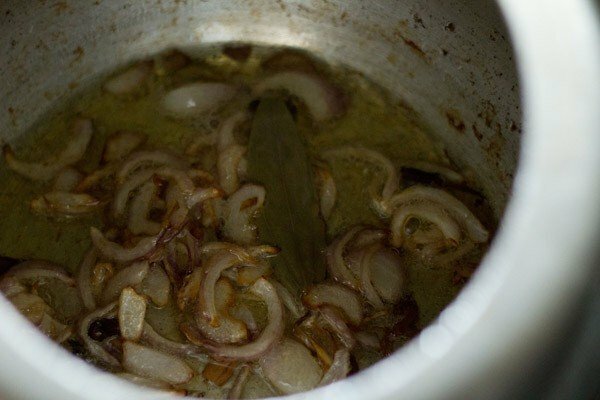 14. cover the lid tightly and pressure cook pudina rice on a high flame for 2 to 3 whistles till the rice grains are cooked. when the pressure settles down on its own, remove the lid and gently fluff the mint rice. 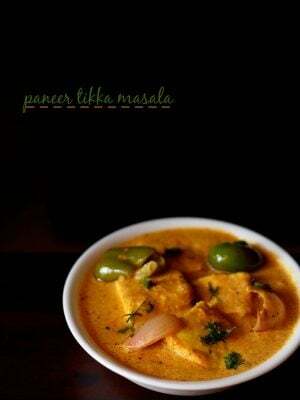 15. serve pudina rice hot with plain curd (yogurt) or with onion-tomato raita or spiced boondi raita. that is such a sweet comment roopa. thank you and most welcome. wish you all the best and happy cooking. welcome divya and glad to know. thanks for sharing and happy cooking. Welcome Krithi. Glad to know this. Welcome Uttara. Glad to know this. 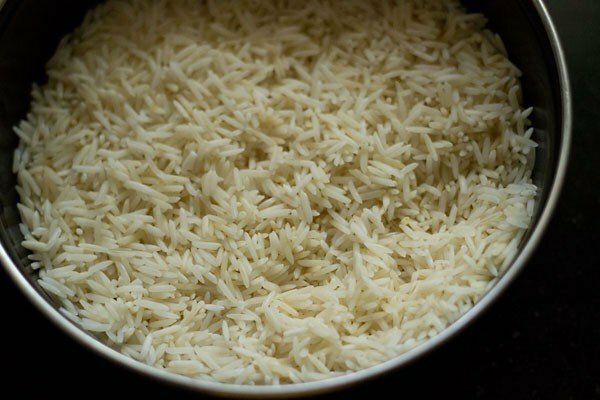 Ordinary rice should be rinsed once.we should not soak and then drain the water. All soluble nutrients will be lost.Remember the modern rice mills remove most of the nutrients from the rice. It iseems better not to rinse basmati rice that too branded one. suganya, agree. but while making pulao or biryani, if the rice is not rinsed that the rice grains becomes sticky. the soluble starch is gotten rid of after rinsing the rice. soaking also helps the rice to cook faster. while making pulao or biryani, i always rinse the rice well. for everyday cooking of rice for dal or any gravy, i just rinse it once or twice. then soak it and use the same soaked water for cooking rice. I hv tried tdy n result is yummy thanks a lot for this teacher ? I tried this recently, and it was quite nice. Thank you for the recipe. What is measurements TSP n tbsp ?? tsp is teaspoon and tbsp is tablespoon. 3 teaspoon is equal to 1 tablespoon. I made mint rice and oats dosa from your recipes and they have become compulsory on a weekly menu. You nailed it. You both are doing great job. pleased to know this sruthi 🙂 thankyou so much for your kind words. This is another nice recipe which i tried out for lunch today and came out very well. 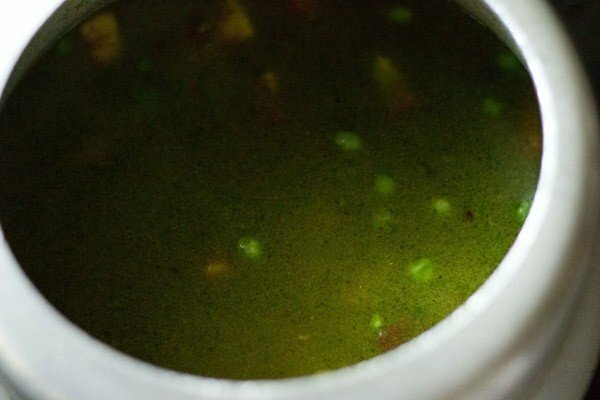 I was searching your website for recipe of maharashtrian pithla (zunka) but could not find it…do you have that recipe? welcome purva. i will try to add zunka recipe soon. welcome purva. thanks for your positive feedback. Wow, such a pretty picture. This looks delicious.